Dhamma Dhānī (City of Dhamma) one of the many centers around the world, dedicated to the practice of Vipassana Meditation as taught by S.N. Goenka and his assistant teachers in the tradition of Sayagyi U Ba Khin. Vipassana, which means “to see things as they really are”, is one of India's most ancient techniques of meditation. It was taught in India more than 2500 years ago as a universal remedy for universal ills, i.e., an Art of Living. The technique is taught at ten-day residential courses during which participants learn the basics of the method, and practice sufficiently to experience its beneficial results. There are courses all over the world. Additionally, you may be interested in our answers to commonly asked questions. To learn Vipassana Meditation, one needs to develop one's own experience during a residential ten-day course. To apply for a course and to understand the requirements, find a convenient date in the Course Schedule, click on the course dates, carefully read the Code of Discipline and complete the application fully and completely. 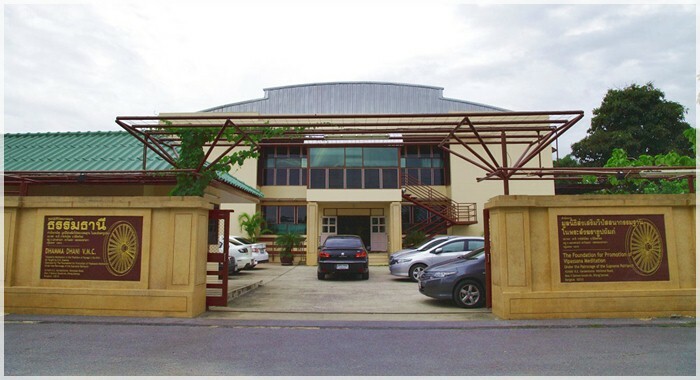 At present, the center does not have facilities to accommodate non-Thai speaking students. Courses are run solely on a donation basis. There are no charges for the courses - not even to cover the cost of food and accommodation. All expenses are met by donations from people who, having completed a course and experienced the benefits of Vipassana, wish to give others the same opportunity. Neither the teacher nor the assistant teachers receive remuneration; they and others who help on the courses volunteer their time freely.